Kensington offers more than 400 smart and user-friendly computer accessories, from laptop locks and network adapters to chargers, mice, keyboards, trackballs and docking stations. In addition, the company sells desktop accessories, carrier bags and iPad/iPhone covers. With the comforo™ package from RHIEM, all these products are now also available online to buyers in Europe. Apart from operating the web shop logistics, RHIEM acts as a “merchant of record” for the Kensington shop site. It operates as a reseller and is in charge of the accounts receivable for online orders. 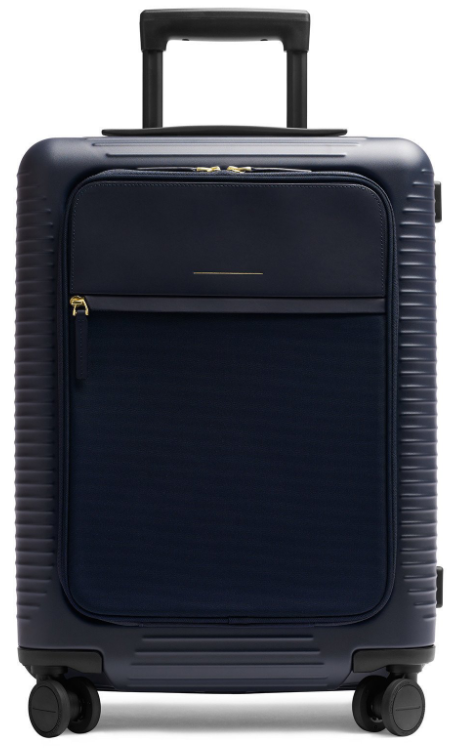 Berlin based StartUp Horizn Studios, a venture funded by incubator Project A, develops high-end travel luggage combining design, travel technology and smart service. Launched in July 2015, Horizn Studio operates a global online store and an offline flagship store in Berlin, more to follow. RHIEM is integrated to Horizn Studio’s webstore and handles warehousing & fulfilment to Horizon Studio’s global customer base. Also, replenishing the offline retail stores is handled through RHIEM’s hub in Voerde, Germany. Family-run business MERA Tiernahrung GmbH based out of Kevelaer on the lower Rhine offers a new product line MERVITAL. This innovative premium line is recommended by veterinaries and supports diet alimentation plans for cats and docs under treatment for specific diseases and symptoms of such diseases. RHIEM’s ERP system is connected to MERA’s webshop and handles warehousing & fulfilment to end users as well as to veterinary clinics. The later do maintain an on hand stock of small packs. So that the pet owners can start feeding the dietary pet food right away. Within 2 days, RHIEM can then supply large packs directly to their homes. BODY IP runs one of the most popular fitness-Youtube-channels in Germany. Founded by the famous bodybuilder Simon Teichmann, BODY IP introduced their own food supplement brand in 2016. After continued dynamic growth, BODY IP opted for an outsourced fulfilment solution in 2017. RHIEM’s ERP system is connected to BODY IP’s webshop and handles warehousing & fulfilment to BODY IP’s European-wide customer base.